Introducing the first ever BeatBoxing samples to arrive on any iOS device. 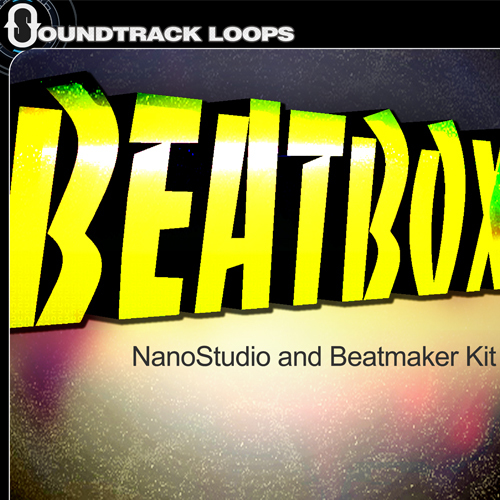 Our Exclusive NanoStudio and Beatmaker Drum kit iOS app pack from ElectroniSounds and SoundtrackLoops. This pack contains 16 actual human BeatBox one shots organized into a nice set of kits mapped out on the MPC-style drum pads for both NanoStudio TRG-16 Pads and Beatmaker. NanoSync or Wifi FTP them into Beatmaker. Download for only $0.99.